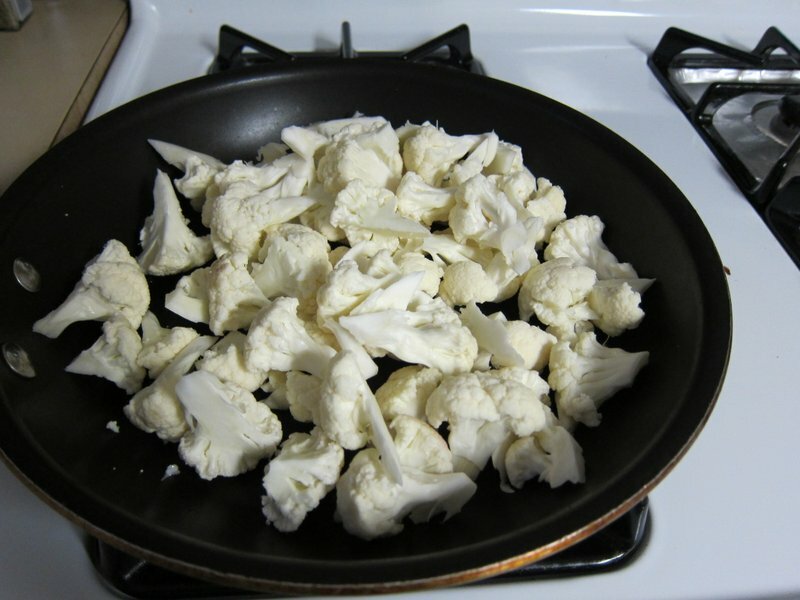 Put some olive oil in a pan, add the cauliflower and some salt, and brown the cauliflower. You can add a bit of water for a more “steamed” vegetable… I did not. Remove the cauliflower from the pan and set aside. I didn’t take any photos of this next step, but add some more olive oil to the same pan, and then brown the garlic a bit. Add the tahini, lemon juice, and water. Add a bit more salt if you’d like. Let it simmer for a few minutes, stirring often, and then turn off the heat. Add the cauliflower back to the pan and coat it with the sauce. 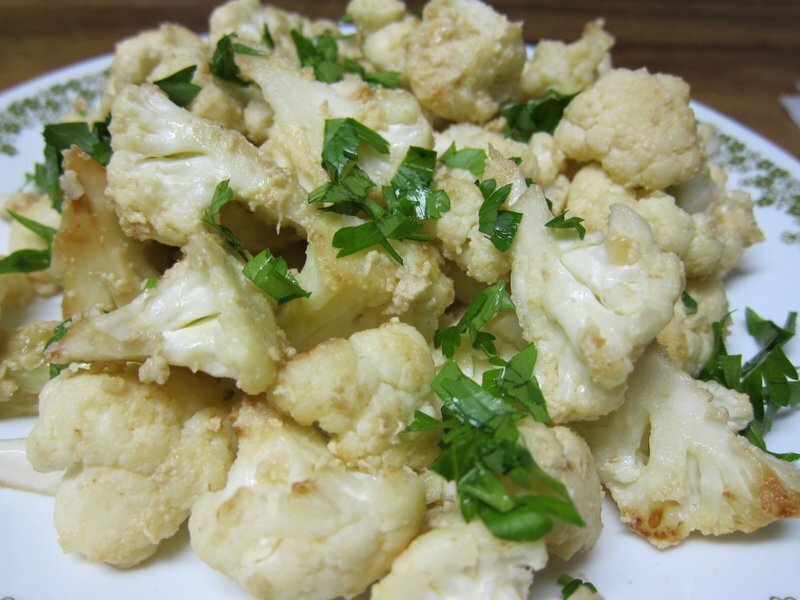 Sprinkle some parsley on the cauliflower and serve. I’m betting that mint would be a great garnish for this dish as well. Experiment!